Theresearch,published in the American Heart Association's Circulation journal, points the finger at sugar-laden drinks ranging from sodas to sweetened iced tea, fruit drinks, and sports/energy drinks. "Many countries in the world have a significant number of deaths occurring from a single dietary factor, sugar-sweetened beverages,” said study author Dariush Mozaffarian from Tufts University in Boston. According to the research, most of the 184,000 global deaths are from people who die of diabetes due to the consumption of “sugar-sweetened beverages” (SSBs). 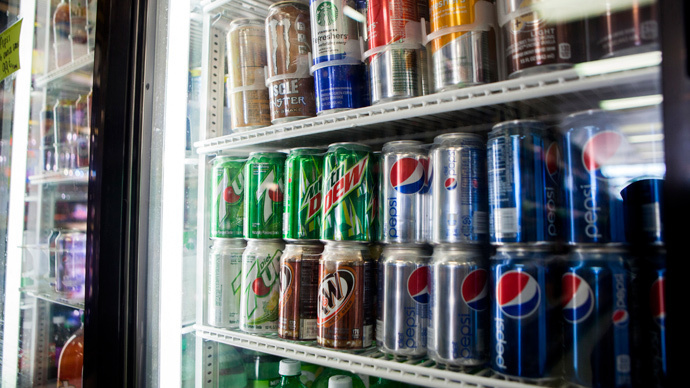 Another 45,000 die globally from cardiovascular diseases caused by sugary drink consumption, and 6,450 people die from cancers linked to sugar-laden beverages. “There are no health benefits from sugar-sweetened beverages, and the potential impact of reducing consumption is saving tens of thousands of deaths each year,” he added. Although the numbers cite global deaths, Mexico had the highest death rate due to sugary drinks, with 450 deaths per million adults. It was followed by the US, with 125 estimated deaths per million adults. Seventy-six percent of deaths related to sugary drinks occur in low-to-middle income countries, according to the report. The findings “indicate the need for population based efforts to reduce SSB consumption throughout the world through effective health policies and targeted interventions directed at stemming obesity-related disease,” the report states. The research examined 62 dietary surveys from more than 611,000 people, conducted between 1980 and 2010 across 51 countries. The participants represented almost two-thirds of the world's adult population. Published on Monday, the study is the first comprehensive assessment of worldwide deaths attributable to sugar-sweetened beverages (SSBs). It was conducted by an international team of researchers from Harvard, Tufts, and Washington universities in the US, and Imperial College London.